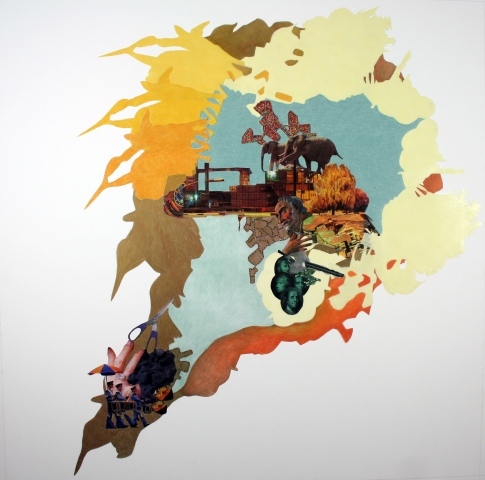 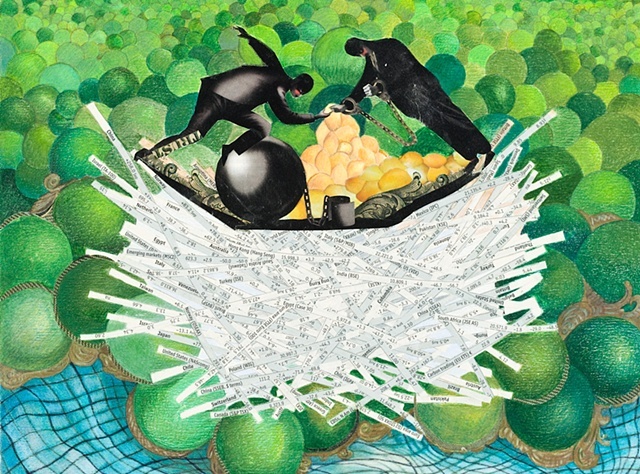 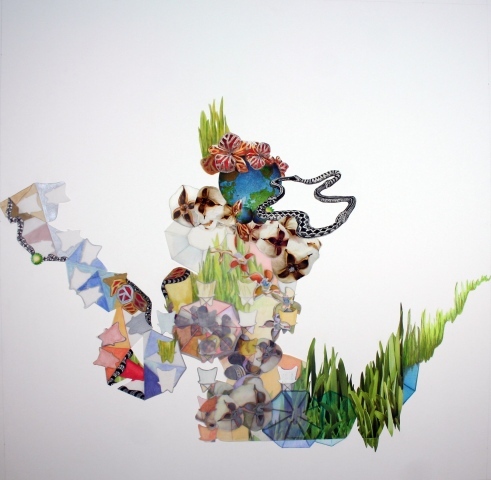 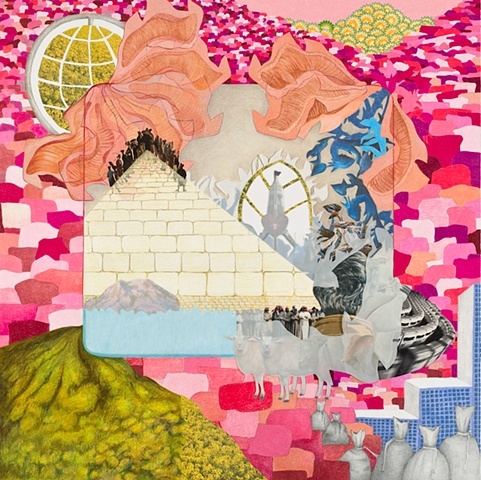 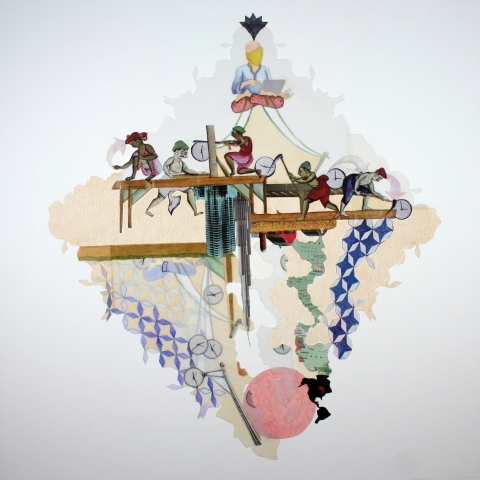 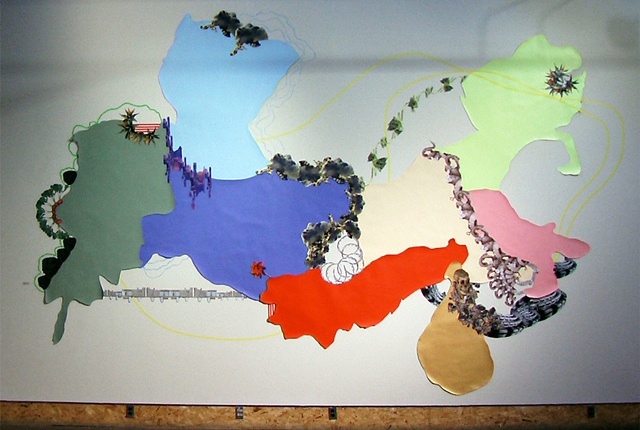 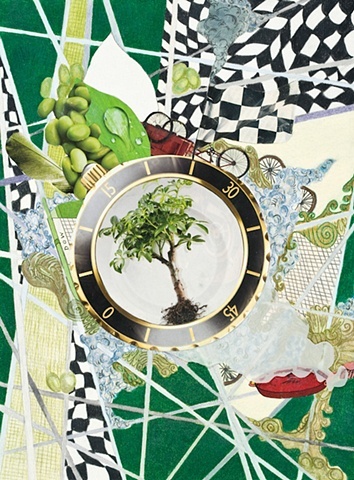 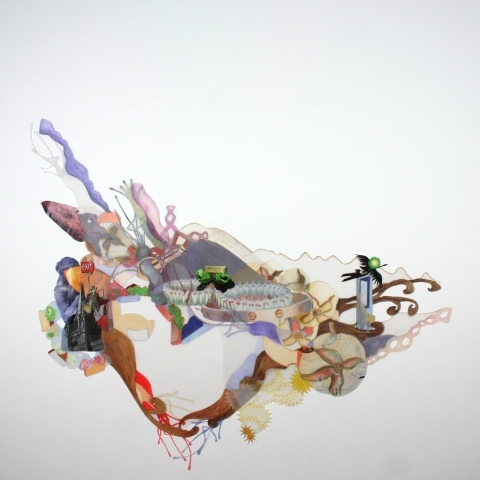 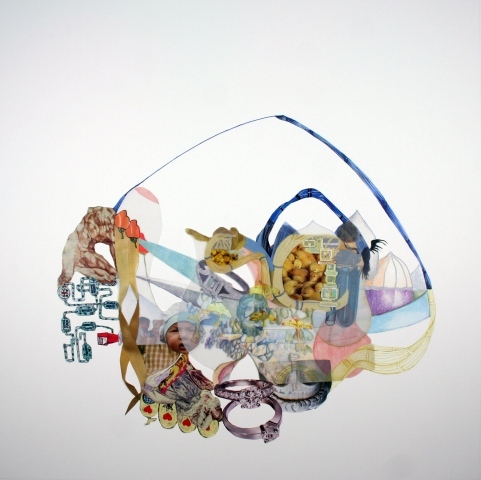 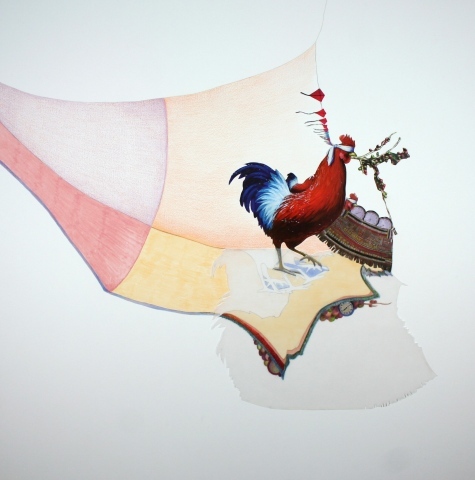 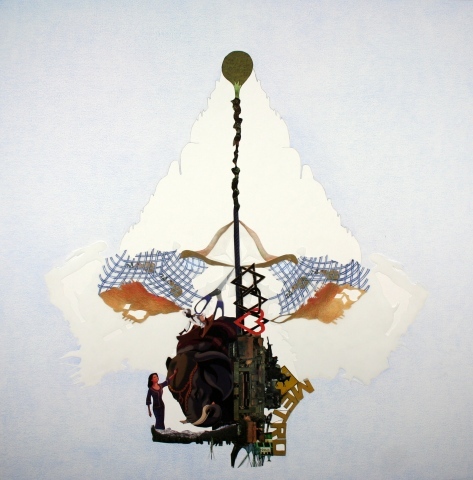 The Economist series of collage/drawings are an ongoing dialogue between Mira Burack and Narine Kchikian. 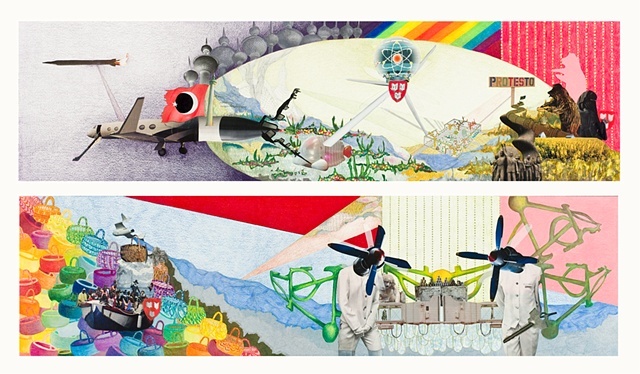 Each piece represents an extrapolation of weeks in time, all imagery derived from their verbal and material discussions of the world's narratives in the issues of The Economist magazine. 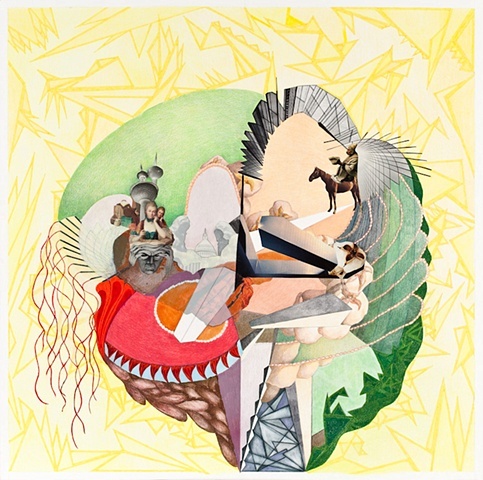 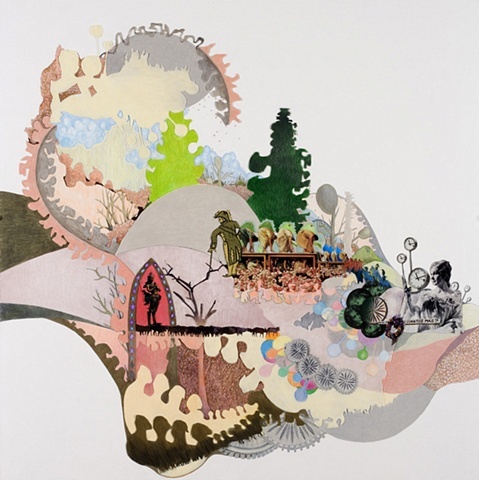 The spaces created within these collage/drawings are like maps, intersecting imaginative, internal locations of the mind with real, recognizable gobal iconography from the pressing political issues of this time.